Sorry we haven’t been on here posting new items on the website!!!! We are going to try and do a better job in posting new items and give our customers an inside look to see what we got new in our store for th 2019 season. SCARY HOW FAST TIME FLYS BY! We have been using the sublimation hardboard for some time now over at Mighty Mites, we have been using them for plaques, keychains and little signs for people’s homes. It allows you to use any color or image you want and not change the price of the item. Sublimation is now used everywhere. We have been working with a new acrylic coat that allows us give a more permanent finish to our sublimation hardboard. Colors really pop when it sits under the acrylic —-It almost multiples the sublimation gas when it lays on the hardboard. You can customize a bar top, barstools, coffee tables, end tables. Pictures with the tables coming soon!!! The largest area right now we are working with is 2 feet by 1 foot. The laser can cut any shape out of that measurement, any shape you desire. Dress up your pets with a little more swag than usual -- you can design it form top to bottom, everything starts all white - you can add as many colors as you want to the piece!! Contact us today and get a free set up for this! 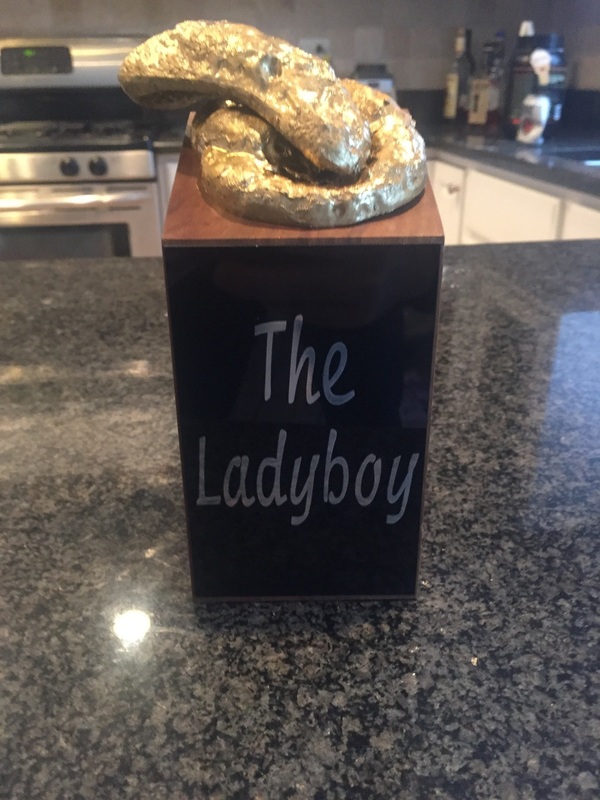 Let us design your Fantasy football Trophy today! A great way to celebrate another year of Fantasy with your league! Just sending a plate is a good way for a traveling trophy. Easy way to keep it updated with people that may live in other states. Call us today or shoot us a quick email!! Completely customize your gifts this Holiday Season! Here is a great new product that can be used as a fundraising item, end of the year awards, or a specialized gift for someone special. 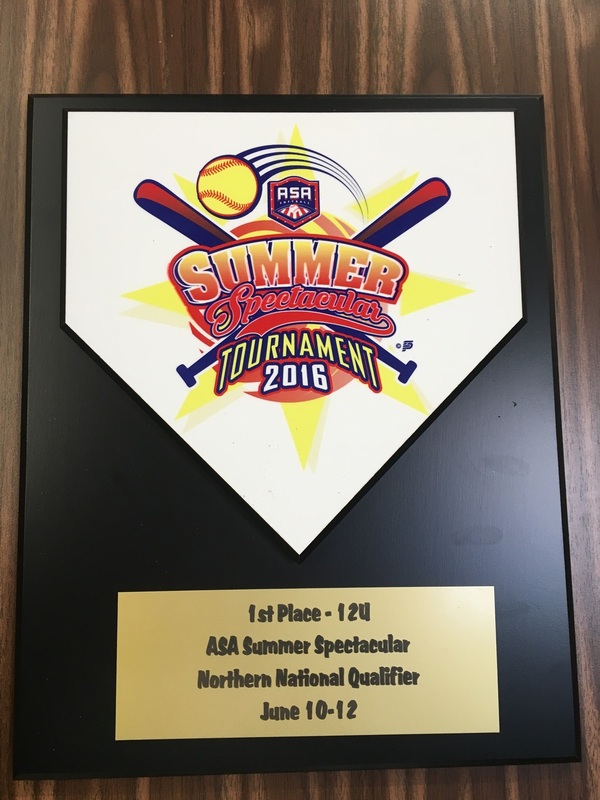 Custom home plate plaque with your tournaments logo is a great way to reward the winners this summer! A great party gift for any size event. Also great for bars and restaurants. Fully customized from top to bottom. 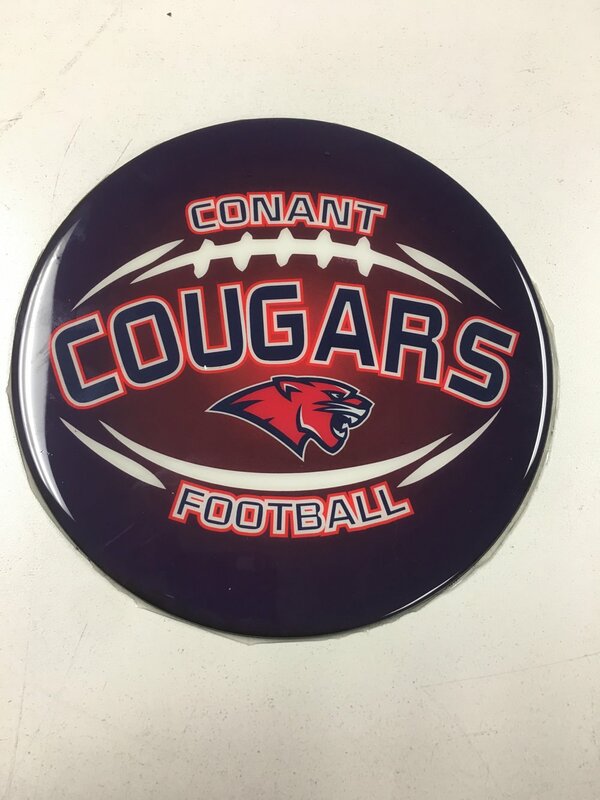 One of the new things we have been doing here at Mighty Mites is sublimation cut outs. This is bringing two of our technologies together to make a custom piece for our customers. Ask about it today for more information. We can do a wide range of size and colors. This is another way to make custom, clean and sharp signs for schools and businesses. We were happy to help a long time friend, and former employee with two fantasy trophies. The last one we made might of been a personal favorite. This was for the individual who finished last place.